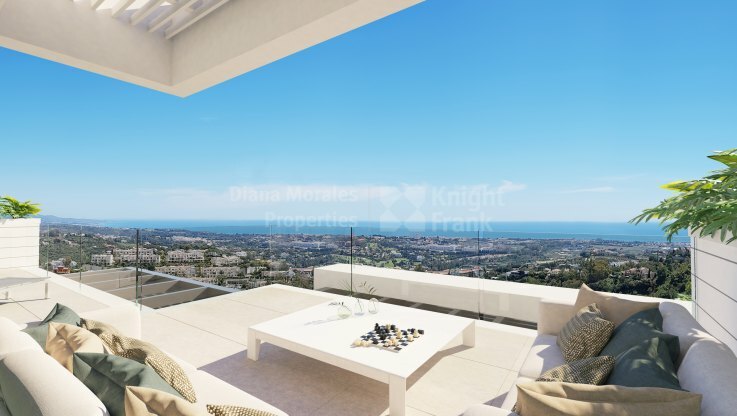 Please, send me more information about ref DMD1430-04 in Benahavis or similar properties. 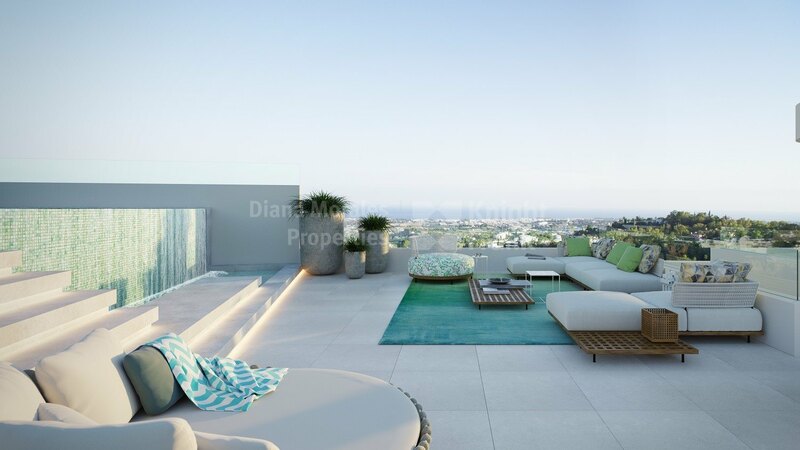 Excellent location with panoramic views of the Mediterranean, from Gibraltar to the coasts of Africa. 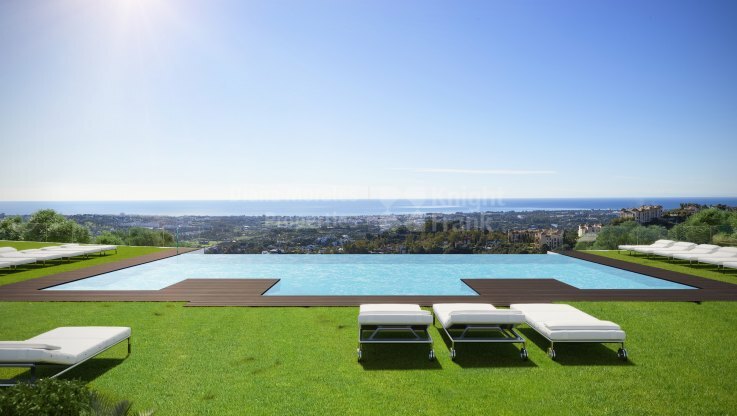 Located between Benahavis and Marbella, it is only 9 km from Puerto Banus and Benahavis. On the slopes of the Serranía de Ronda and conveniently located is within walking distance of many amenities, restaurants, bars and many other services. 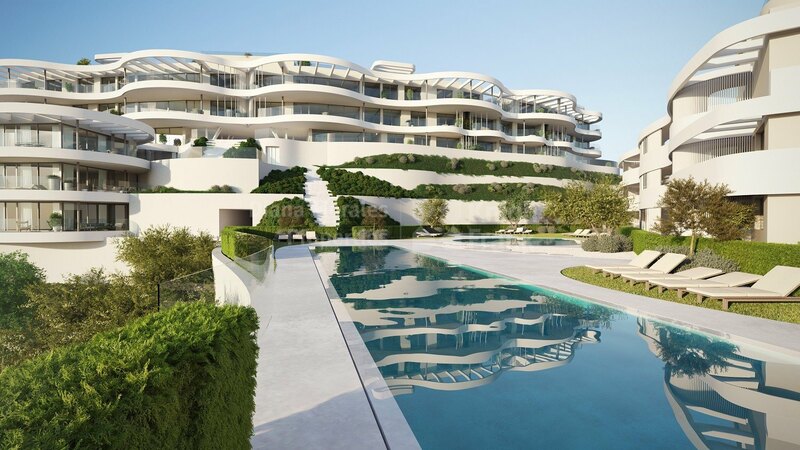 Materials of the highest quality have been selected seeking to create a unique atmosphere in an incomparable setting. The houses can be customized giving each one their personal touch. 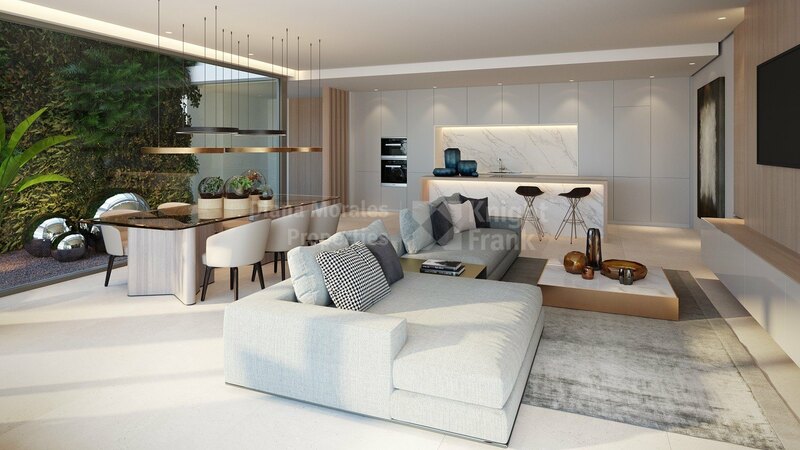 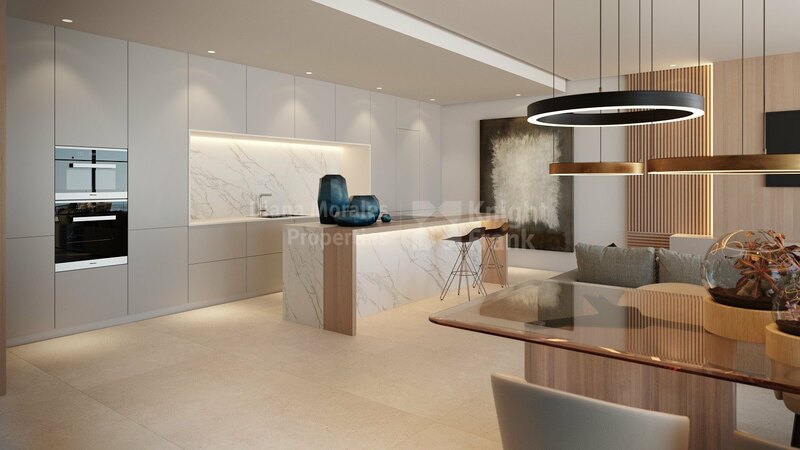 Excellent duplex penthouse with 4 bedrooms under construction with two parking spaces and a storage room.The house is a corner unit and has a open space for kitchen, dining room and living room with large windows to the beautiful terrace of more than 150 m2. 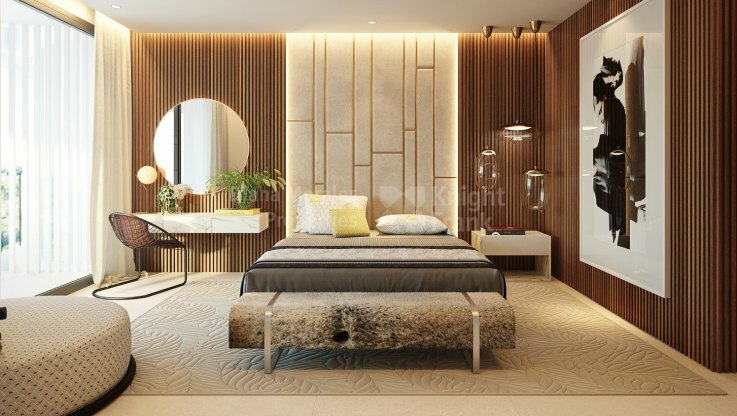 At the entrance we find a guest toilet and the laundry area. 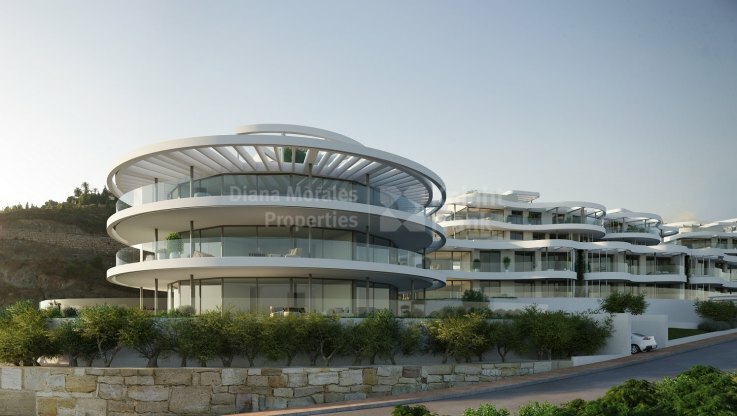 In the wing on the left we find four bedrooms all esuite and all with access to the large terrace. 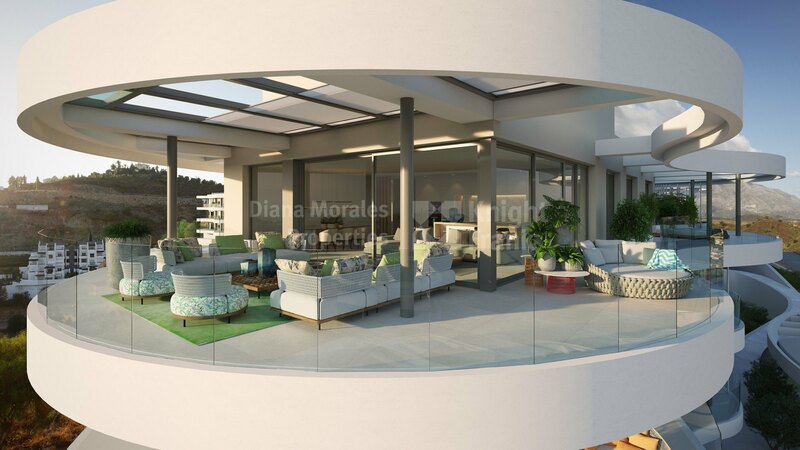 A staircase leads to the solarium with more than 120 m2 where you can enjoy the sun and the views. 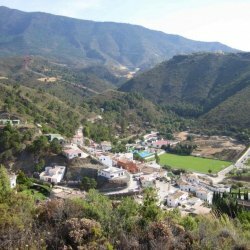 Benahavis is a small mountain village 7km from the coast and beach and is situated between Marbella, Estepona and Ronda. It is an authentic Andalusian village with narrow streets and houses of whitewashed walls. Renowned for its restaurants it has become a gastronomic centre of the Costa del Sol.